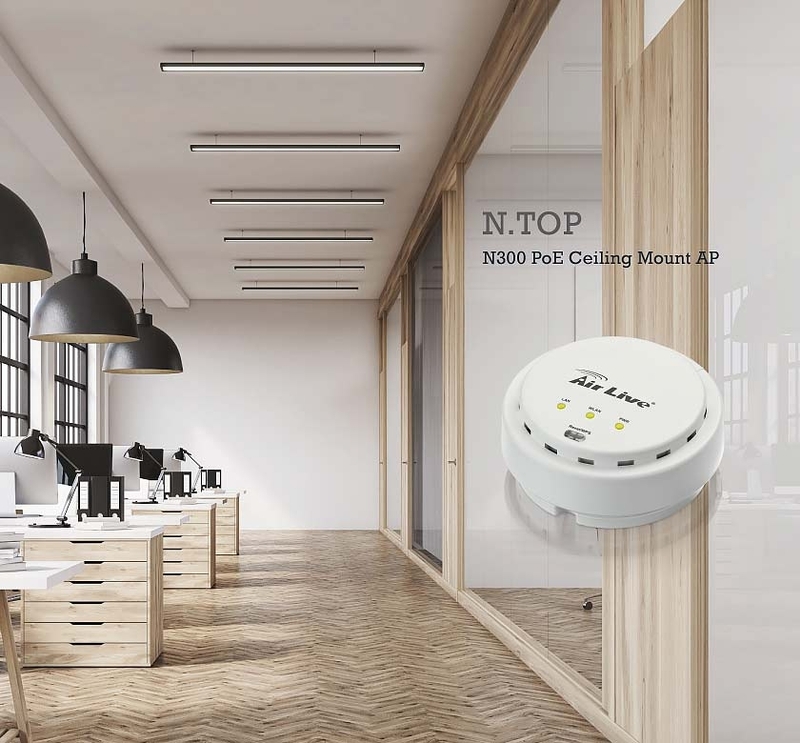 N.TOP use smoke detector appearance, it minimizes visibility for any type public areas such as office, hotel, villa, restaurant, coffee shop, clinic and hospital. 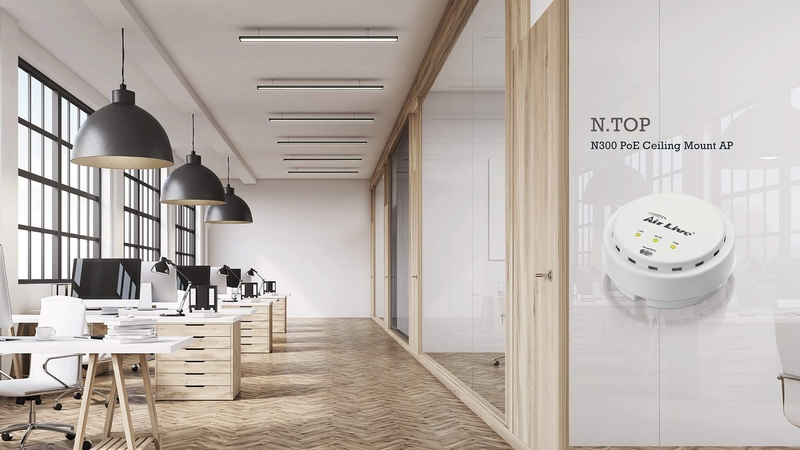 The N.TOP is equipped with a hi-powered radio and 300Mbps 11n MIMO antennas. 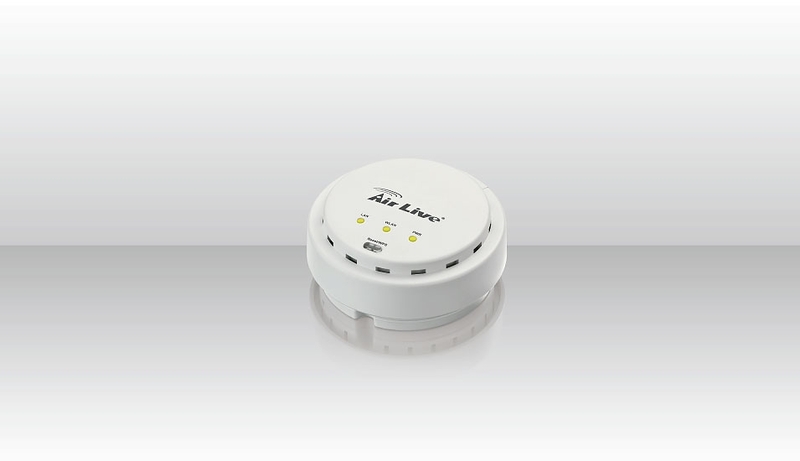 This combination enables it to have over twice the wireless coverage comparing to average 11n AP. 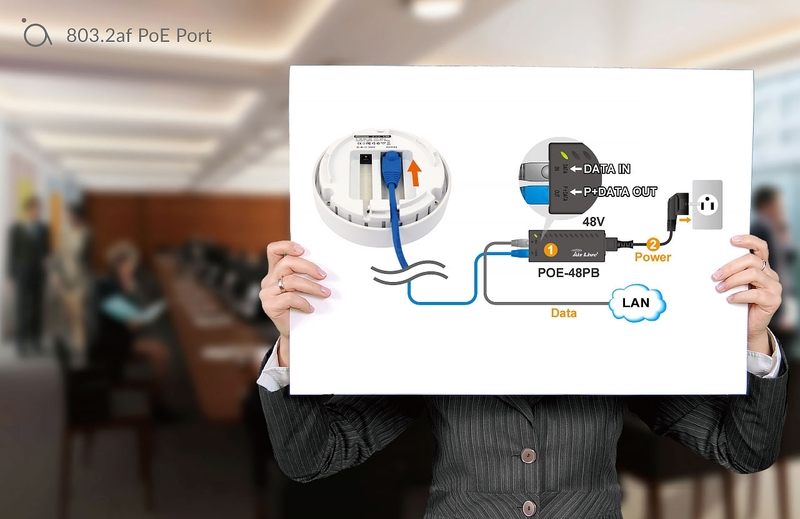 The N.TOP has a 802.3af PoE port. That means it can be powered by a PoE switch. This makes installation much easier. 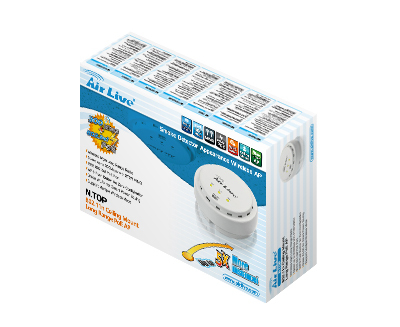 Best of all, when used with an AirLive topology switch, it will automatically reboot the AP when AP does not respond. 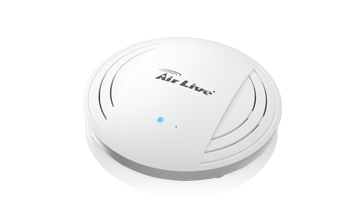 he N.TOP can work with our AirLive Central software. 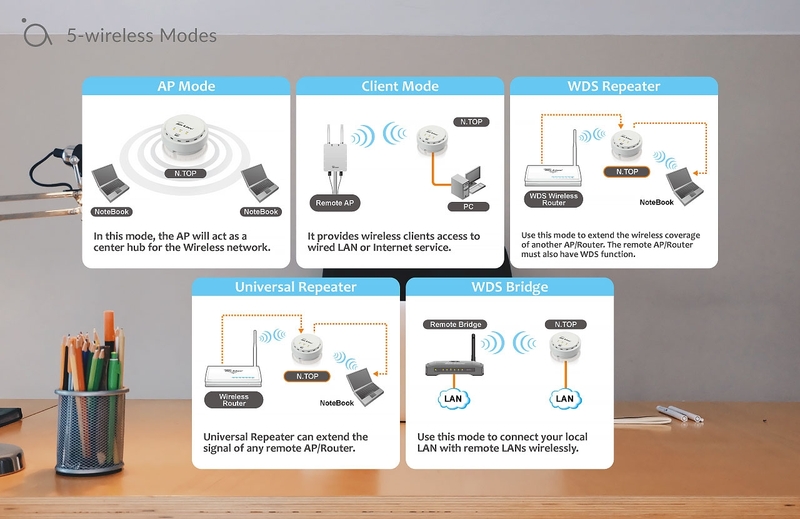 So you can perform wireless configurations and firmware upgrade over a group of AP at the same time. Best of all, the software is free. 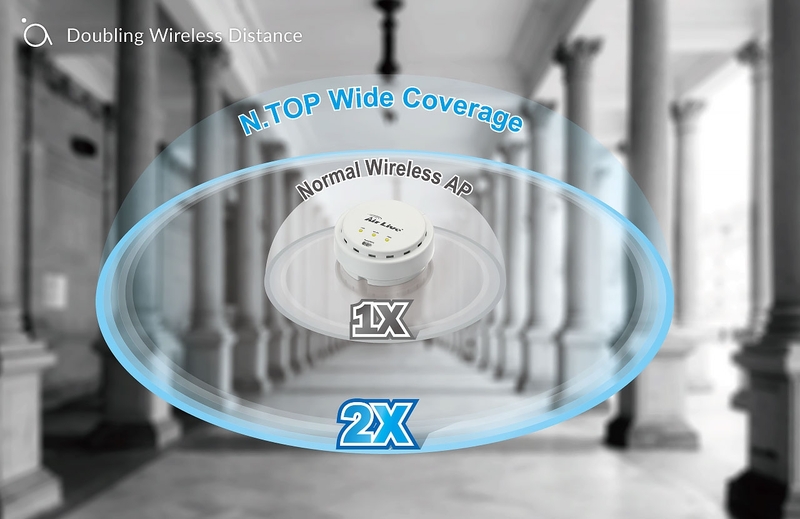 You can make your N.TOP to perform different roles thanks to wireless multi-mode. The N.TOP can be an AP, repeater, client, or bridge. It can be easily switched using the user friendly interface. 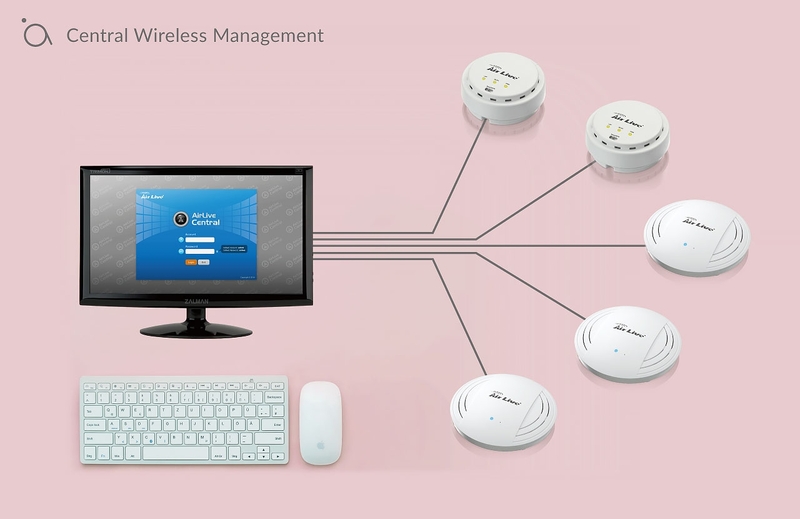 The N.TOP's firmware is loaded with many useful features such as multiple SSID(up to 32), VLAN, MAC access control, wireless scheduling, and setup wizard. Support WPS Button for Easy Setup. How to set two N.Tops in WDS mode?